For movies and songs, I mainly use Torrents for downloading. However before Torrents became as popular as they are today, my main source of downloads was RapidShare and similar file-hosting websites. Even now there are quite a number of times I have to use RapidShare. For example recently I had to download the solution manual of a book for an advanced mathematics course which I am taking; I could not find the manual on any Torrents site but it was there on RapidShare. Although the site provides a great service to countless internet users, if you are using it for free it is not without its botherations. Anybody who has used RapidShare can tell you how annoying the waiting time (countdown before we download the file) is. At times when we have to download one file shortly after another file, the waiting time increases. To make the countdown much less of an annoyance, I recently found a great tool which I would like to share with all of you. It is called RapidShareDownloadHelper. You can see that the timer is there and asks makes us wait before we can proceed with the download. In case of short countdowns, the wait is not much of a problem. But in case of longer countdowns, we tend to proceed with our work in other windows. 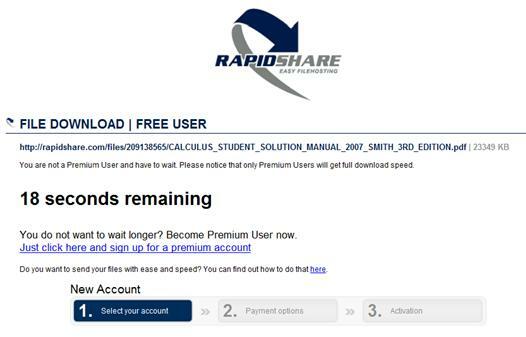 Sometimes we fail to return to the RapidShare screen soon after the countdown is over; if we are too late, the countdown restarts. After we install the extension, the interface of Chrome is completely unchanged; there are no extra icons added to the address bar nor do we have to configure any options. 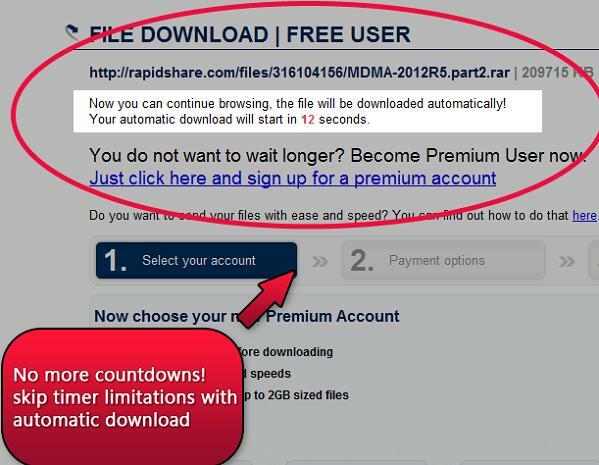 All DownloadHelper dows is automatically detect the RapidShare countdowns and automatically initiate the download as soon as the waiting time is over. This way the risk of restarting the countdown is no longer there. Personally I found this extension to be extremely helpful and am happy to give it two thumbs up. Hopefully the developer will soon make similar extensions for other RapidShare-like websites like MegaUpload and 4Shared. Next Entry: Assassin’s Creed II Multiplayer for iPhone Released, Free for 48 Hours!! !